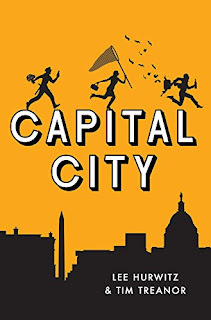 Lee Hurwitz and Tim Treanor are the authors of the new novel Capital City, which takes place in Washington, D.C. Hurwitz worked for the D.C. government for more than a decade and now works for the Library of Congress. 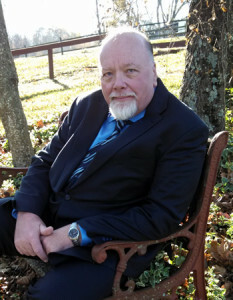 Treanor is a federal government trial lawyer and has appeared in a variety of plays. They are both based in the D.C. area. Q: How did you come up with the idea for Capital City? Tim: I didn't. Lee did. He had written a first draft, and decided he wanted a collaborator. I took a look at what he had written and I agreed that the story had good bones. I had a couple of ideas and a few changes in the language. Some of his characters, I thought, deserved bigger roles and I wrote them up a little. But this is Lee's story. Lee: I worked for the District of Columbia government from 1978 to 1989. Six months after I started, Marion Barry took the oath as mayor. Everything that we all read in the newspapers about Barry, and corruption in the D.C. government was true and it was just the tip of the iceberg. I had first-hand experience with all the malfeasance. Q: How did the two of you collaborate on the book, and did you plot the whole book out before writing it or make changes along the way? Tim: It was a dream to work with Lee. He had an entire first draft, and when I suggested changes he responded in a very logical, non-ego-based way. Lee's interest was in putting out the best book possible. Once the publisher purchased the book, they suggested some changes -- mostly, they were interested in drawing out the political aspects of Wendell Watson's character -- which we instituted, to the improvement, in my view, of the book. Lee: Tim is right. We collaborated very well to come up with our final manuscript. I gave him my original manuscript and he edited and rewrote it and I agreed with all his additions/corrections. Q: What are some of your favorite novels set in Washington, D.C.? Tim: I'm a sucker for a good political novel, and the Allen Drury Advise and Consent novels were a staple of my teenage years. The best of these, of course, was the original. More recently, I loved Thomas Mallon's Watergate. I'm reading his Finale now, with great pleasure. And in between, I really enjoyed Gore Vidal's novels centered around various U.S. presidents and other historical figures. 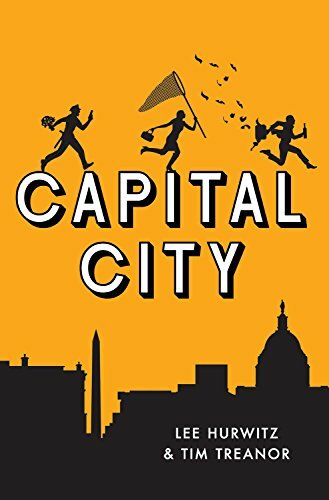 All of these stories are set in Washington and although they were concerned with national affairs, they all give a powerful taste of the city itself. Incidentally, I also read and enjoyed The Last Ambassador, by your dad and uncle, although I think of that as more of an international novel. Lee: I am not sure that you really want to print this, but I do not read novels very often. I read a lot of non-fiction as my pleasure reading. Q: Is this an only-in-D.C. novel, or could something similar be set elsewhere? Tim: I suppose you could have a corrupt mayor of Cleveland or San Diego who manipulates Congress and kills people, but somehow it seems better set in D.C.
Lee: Having spent my first 18 years in the City of Brotherly Love, I am sure that a novel like this could be written about Philadelphia, New York, Detroit, Buffalo, or other cities. But, I agree with Tim, the District of Columbia is a unique place. It is both a city and a state and it is the capital of the free world. 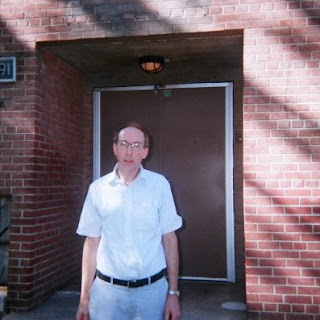 Tim: I have a three-novel series about a plot to solve the upcoming Social Security and Medicare crises by developing a virus which selectively attacks members of the Baby Boom generation. [Literary agent] Diane [Nine] is representing the first novel in the series and I'm optimistic. I'm polishing up the other two. Lee: My next project will be a novel called The Library on the Hill. However, I will not begin working on it for six months or a year. Tim: For my work on Capital City, I used Carl Hiaasen as a model. So if you like Carl Hiaasen -- and who doesn't? -- you'll like Capital City. Lee: I hope everyone enjoys Capital City as much as we enjoyed working on it.